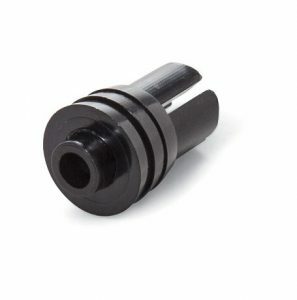 The patent pending Arborplug is a technological advancement in trunk injection and a key component of the Arborjet injection methodology. Recommended for: Conifer and medium to large trees. Facilitates high volumes of medicament delivery directly to the xylem tissue of the tree. 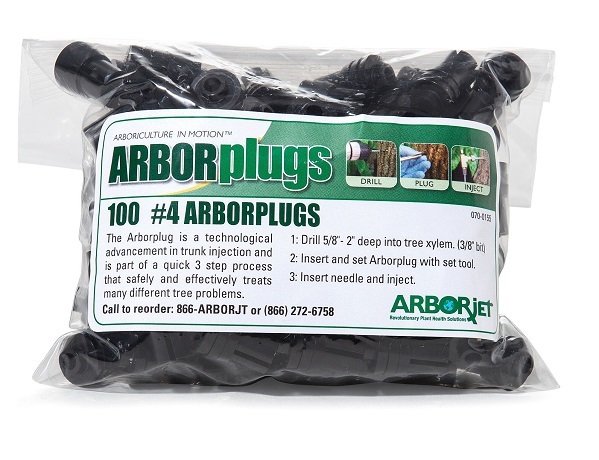 Arborplug’s tight seal in the tree enables pressure to be sustained throughout injection process, making delivery fast and consistent. Prevents lost or wasted product. 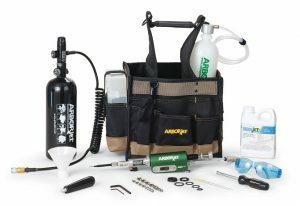 Protects the surrounding environment and the applicator from unintended product contact. Minimizes the number of injection sites and helps to inhibit infection. “Closed” injection site limits wounding, speeds healing, inhibits decay or infection from entering site and prevents site from becoming vector for insects.